The Rio das Pedras militia was created midway through the year 2000. At the time, these groups were seen as a positive thing—an answer from citizens to fill a void left by the state in gang-dominated favelas. As reporter Raphael Tsavkko Garcia explained last year in his article “How armed militias became part of Rio’s everyday life,” these groups were a kind of security patrol unit acting against drug traffickers. They were made up of police officers, firefighters, and prison guards. Even the authorities supported them. Two decades later, it is safe to say that most Brazilians have changed their minds on militias. They have proven to be as deadly and oppressive as the gangs from which they were supposed to free citizens. Militias started by “offering” protection to residents of a community. With time, they branched out to new forms of funding. They monopolize services such as illegal cable TV, internet, furniture, transportation, water, and gas. Nothing is sold without their blessing—and without giving them a cut of the profits. Most have also controlled land within their areas of influence, employing a rarely seen kind of ruthlessness. And some, such as the Rio das Pedras militia, have gone even deeper, creating their own army of guns for hire. From Rio’s oldest militia sprouted “The Office of Crime,” arguably the deadliest and most secretive death squad in Rio de Janeiro. Comprising former and current military police officers, “The Office” is known for its extremely well-planned assassinations, largely successful due to their connections within the corporation. 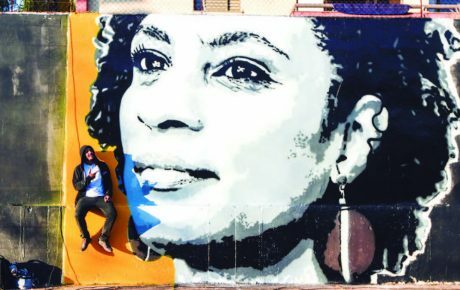 Law enforcement believes their résume includes the murder of Rio councilor Marielle Franco in March 2018. The crime has yet to be solved, but recent reports say that investigators gathered evidence proving that state agents were involved. On January 22, 2019, a joint force between the anti-organized crime division of the Rio de Janeiro military police and the Special Division of the state’s civil police launched an operation targeting The Office. It was named Operation Untouchables—precisely because no one, until now, had dared to investigate the group. Police ordered the arrest of 13 people believed to be at the upper echelon of the criminal organization. Among them, former officers of Bope—the Military Police Special Operations Squad, depicted in recent blockbuster movies by director José Padilha (Robocop, Narcos) as an incorruptible force. 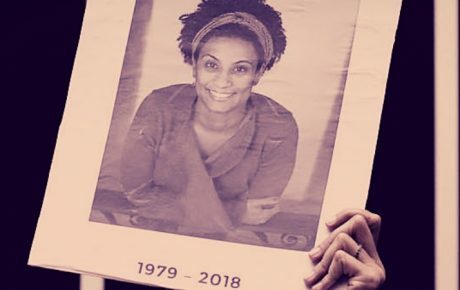 The investigators reached The Office by following leads found during the Marielle Franco investigation. Thirteen gunshots were fired at Ms. Franco’s vehicle. Four of them hit the politician—three in the head and one in the neck, killing her instantly. Her driver, Anderson Gomes, 39, was also killed, being shot in the back three times. A nearby surveillance camera filmed the Chevrolet Cobalt used by the murderers—which had been cloned by the gang. As the investigation continued, detectives realized they were facing the feared Office of Crime. The group has ordered killings as its “core business” and are for hire on the “deep web“—the umbrella name for parts of the World Wide Web whose contents are not indexed by standard web search engines. 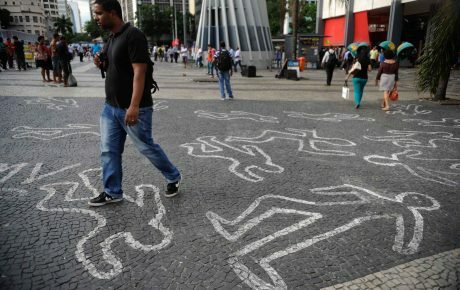 What does Flávio Bolsonaro have to do with The Office of Crime death squad? Two women link former Rio state lawmaker and Senator-elect Flávio Bolsonaro to The Office: Raimunda Magalhães and Danielle Nóbrega. They were both employed by Mr. Bolsonaro’s office at Rio’s State Congress and happen to be the mother and wife, respectively, of a former police captain accused of being one of the heads of the gang, Adriano Magalhães da Nóbrega. A warrant was issued for his arrest on Tuesday, and he is officially considered a fugitive of justice. Mr. Bolsonaro claims he didn’t have anything to do with their nomination. 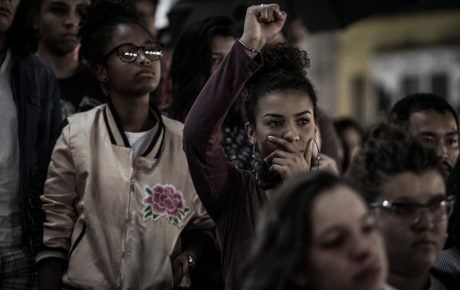 In fact, his former driver Fabrício Queiroz admitted to having requested Mr. Bolsonaro to employ the two women, as “their family was going through financial strains.” The president’s son said he didn’t know anything about the women—and Mr. Queiroz denies any link with the militia. But that’s where the plot thickens. Ms. Magalhães, the mother of one of the militia bosses, is also involved in another scandal surrounding Flávio Bolsonaro. The Senator-elect is suspected of forcing his staff to hand over part of their salaries, a scheme that was operated by Mr. Queiroz. And one of the staffers who made financial operations consistent with the scheme is, in fact, Ms. Magalhães. In a statement, Flávio Bolsonaro denied any wrongdoing and called himself “a victim of a smear campaign” directed at his father’s administration. Over their years in politics, the Bolsonaro clan has shown support for militias. 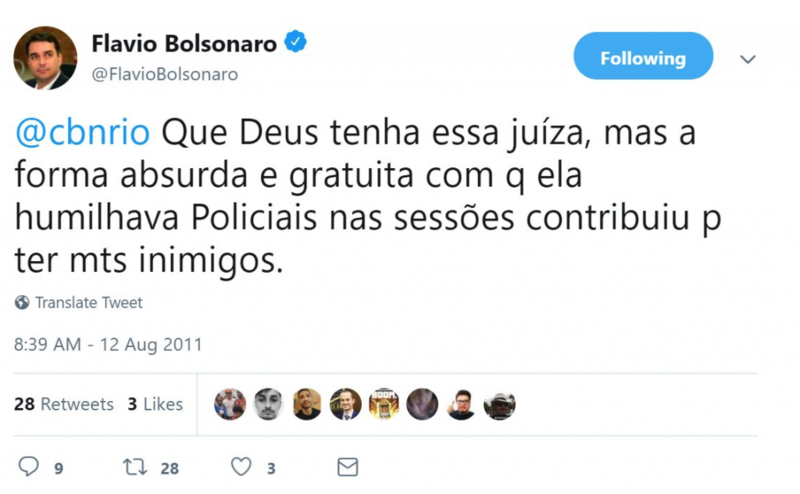 In 2003, President Jair Bolsonaro—a congressman at the time—took the stand in the lower house to praise the work of death squads. He was responding to the remarks of a colleague, who talked about the danger of such groups in the state of Bahia. Flávio Bolsonaro, the president’s eldest son, has also shown similar support. 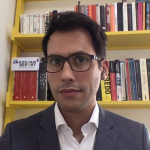 Ivanildo Terceiro, Chief Communications Officer for Students for Liberty Brazil, recalled this face on Twitter (you can follow his thread here, in Portuguese). At the time, he blamed the backlash he suffered on political correctness. On January 1, during his inauguration as president, his father promised to end that in Brazil.